We continue to hear from our members the importance of having job insights, such as skill requirements and new opportunities, at your fingertips when searching for a job. There are 100 million job applications on LinkedIn every month, so being one of the first applicants for a position, and being able to showcase your relevant skills quickly, can help you stand out from the pack. 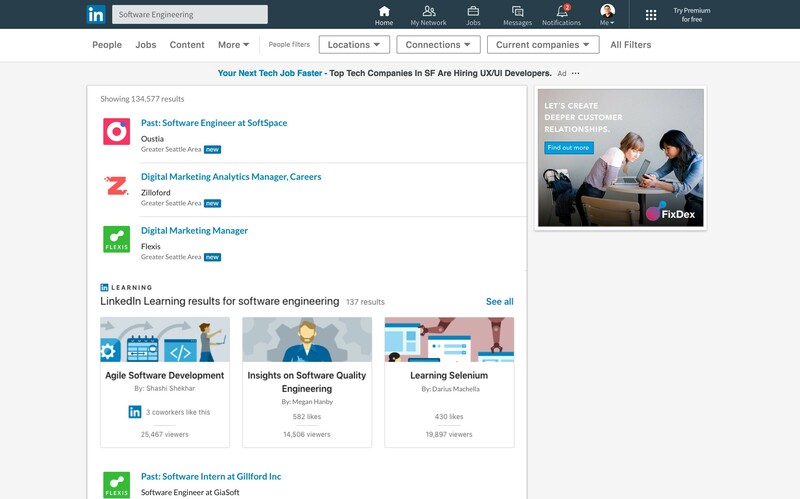 We’ve rolled out some new features to help job-seekers be the first to see new job opportunities, discover key job title insights, and quickly find learning courses to help them on their job hunt. We get it, you want to see jobs as soon as they’re posted. That’s why we’re rolling out a new mobile push notification to members who have told us they are actively looking for a new role as soon as new jobs are posted. Now, you can see new jobs within minutes of them being posted so you can be one of the first to apply. You can sign up for these notifications by noting that you are actively looking for a job in your career interests dashboard, and making sure your mobile notifications are turned on. Whether you are looking to get to the next level in your current field, or if you are planning on changing roles entirely, it’s helpful to understand the skills and qualifications behind a specific job title. That’s why we’ve rolled out a new feature that provides a quick look at specific job titles to help you get ahead in your job hunt. The top skills people with that title have - use this to make sure you highlight any skills you have that might help you showcase why you are a fit for that new title. Your first degree connections with that job title - you might want to reach out to some of these folks to learn more about what the job might entail. 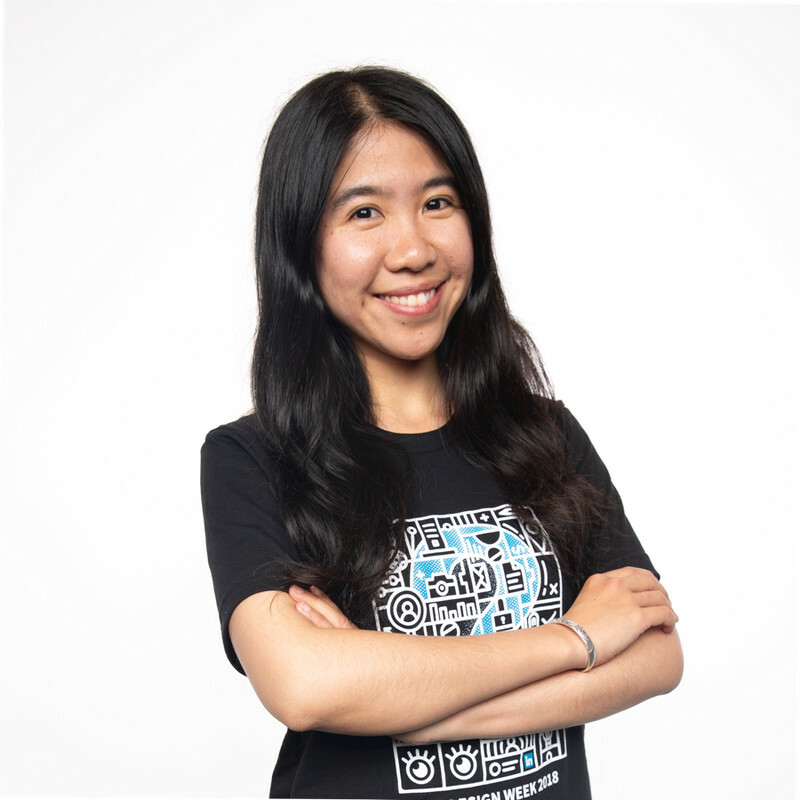 To access these insights, go to the search bar via the LinkedIn desktop browser, and type in a specific job title, such as software engineer, accountant, or biologist. Click “enter” - these insights won’t show up if you click anything from the drop down menu. Once the search results populate, you’ll see a new module in the right rail of the page that shows highlights for that specific job title. 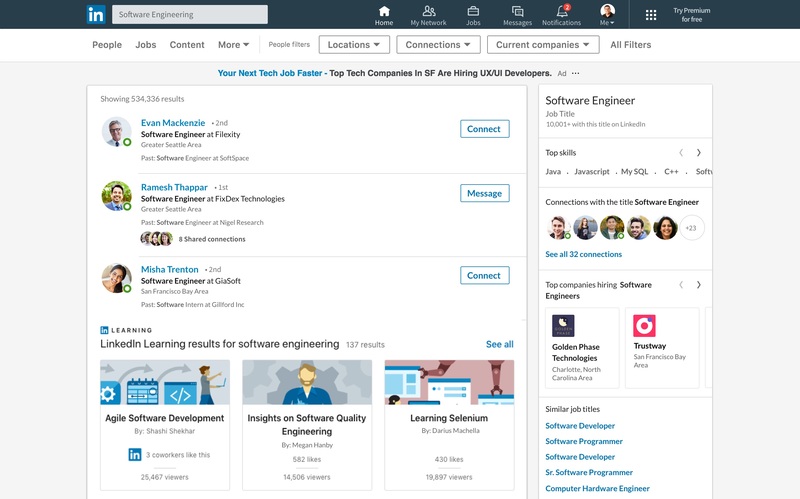 We have also rolled out similar highlights for key influencers on LinkedIn and notable companies. You’ll be able to see all of these knowledge cards on desktop in markets where the primary language is english. All search highlights will be coming to iOS and Android later this spring. These courses will be right in your search results for easy access, and will show up based on personalized recommendations to meet your needs. Your job search is important, and we want to make sure you have all the tools you need to find the job that’s right for you. Discover more than 15 million active job listings on LinkedIn and remember that whatever you’re in it for, we’re in it together.